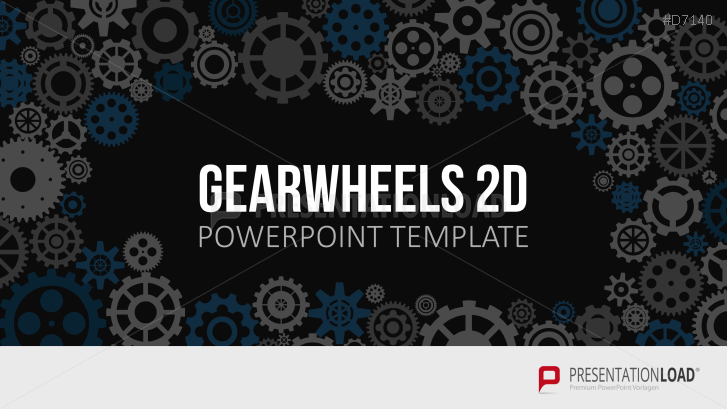 PowerPoint graphics, charts and illustrations in a gearwheel design. This PowerPoint set includes charts, timelines, flow charts and other diagram types as well as gearwheel graphics, icons and maps in a gearwheel design. Gearwheels represent a perfect meshing of various components and exemplify the importance of a well-coordinated team and well-organized procedures. They illustrate teamwork in project planning as well as technical and mechanical relations that belong to the industrial sector. When you plan to highlight certain issues and subject areas with the matching designs, predefined templates deliver all necessary tools and enable you to emphasize your statements and present them according to the field of operation you are presenting. These PowerPoint templates include various illustrations and graphics that were put together with many little gearwheels. Find process diagrams, timelines and other diagram types as well as various graphics and gearwheel world maps included in the template set. Attached to it is also an extensive gearwheel toolbox so that you can easily create gearwheel graphics yourself.